New ICU rooms at Forbes Regional have state-of-the-art equipment and are larger to better accommodate families of patients. 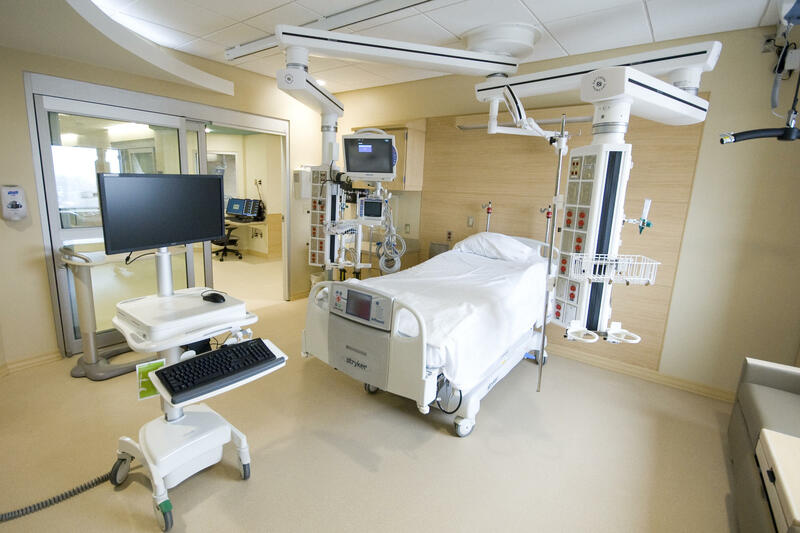 Forbes Regional Hospital will open an expanded intensive care unit next week that will look more like a 21st century ICU than the current unit that was opened more than 40 years ago. The facility in Monroeville is an accredited Level II Trauma Center, and will be adding a 20-bed ICU. The hospital's current ICU was built in the 1970s; the new one is equipped with modern technology. The $9 million facility is one component of an overall $36 million investment strategy aimed at expanding the hospital’s capabilities. In addition to adding services, there is simply more space in the ICU, which can accommodate patients’ families. “With the trends in critical care showing that having family-centric areas in the rooms, we have taken care to increase our accommodations in the rooms so the families can stay there and be present with their loved ones,” said Hansen. The hospital’s trauma services were tested with last year’s Franklin Regional stabbing, and this year’s Monroeville Mall shooting. Hansen said had there not been a trauma center there, critical time would be lost transporting patients to facilities farther away. The new ICU opens Monday March 2.